He is famous for his Sony TV comedy series The Kapil Sharma show which had a successful 1st season and is now back with season 2. Check out the most updated and latest information about Kapil Sharma's on the Internet.We have 87 videos of Kapil Sharma including interviews, events, or public appearances.Kapil Sharma has over 328 Fans registered on India-Forums.com. We have 736 Television News articles related to Kapil Sharma.Do share your criticism, comments and feedback for the Actor on Kapil Sharma's comments page. 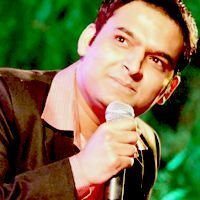 We have over 66 Photos of Kapil Sharma to view and download including Kapil Sharma's Wallpapers. loving ur new show !!!!!!!!!!! Kapil Sharma you are the best.loving your show the Kapil sharma show very much.